MENTION “PHOENIX” AND PHOENIX PRODUCTIONS GETS A DONATION! SEE A SHOW. MENTION PHOENIX PRODUCTIONS. PHOENIX GETS A DONATION! The Broadway Dolls will be playing at the Count Basie Theatre this Friday, April 5th, and have made us an offer we couldn't refuse. They will donate a portion of their ticket sales to our New Building Fund. The Catch? The donation will be from all sales that mention the code, PHOENIX when the tickets are ordered. So, if you want a night filled with Broadway Standards and to help Phoenix at the same time, please call the Basie box office at 732.842.9000 or visit the box office and mention PHOENIX sent you! You are invited to attend a special film screening of the NJ Premier of the documentary The Trial of Adolf Eichmann. Also screened will be the new documentary short film Reporting on the Times: The New York Times and the Holocaust. These screenings are part of the 2014 New Jersey Jewish Film Festival, and the College of Saint Elizabeth is a "community co-sponsor" for this screening. Guest speaker will be Dr. Harriet Sepinwall, Professor of Holocaust Studies, and co-Director of the College of Saint Elizabeth Holocaust Education Resource Center. Opportunity for Q/A. ADMISSION: Free and open to the public. Light refreshments will be served. Rescue in the Philippines: Refuge from the Holocaust recounts a fascinating, yet seldom-told, chapter in World War II history. The documentary chronicles a real-life Casablanca, in which a high-profile group of poker buddies - including Colonel Dwight Eisenhower - devised an intricate international plan of rescue and re-settlement, saving 1,300 Jews from Nazi concentration camps. A discussion will follow with Jane Frieder Wilf. She is the granddaughter of Herbert Frieder, and the daughter of Philip Richard Frieder, both of whom appear in the film. 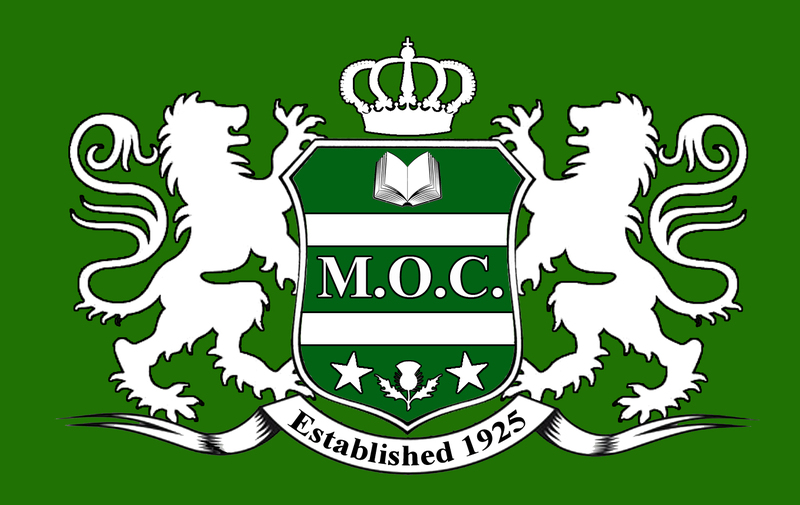 CELEBRATE 89 YEARS OF COMMUNITY THEATRE WITH A “REPRISE”—A BENEFIT CONCERT FOR M.O.C. A Benefit Concert for the next 90 years! WHERE: Bloomfield College Westminster Arts Center, 449 Franklin Street in Bloomfield. TICKETS: $25 for adults, $22 for senior citizens, $15 for students with valid ID and $4 for Bloomfield College students with a valid ID. General admission tickets also may be purchased online at mocmusicals.org/tickets.htm or by calling 973.744.3133. Under the artistic direction of Bob Cline and musical direction of Gonzalo Valencia, veterans of over 16 M.O.C. productions, REPRISE celebrates the music from Montclair Operetta Club’s rich history as the oldest continually producing community theater in New Jersey. Over 30 songs from the past 89 years of MOC Productions, performed by a mammoth alumnus cast of 43, will create a concert of music you’ll want to hear again. The Student Prince and The Desert Song are tied for the most-revived show, each produced five times. REPRISE’s 43 performers come from towns throughout New Jersey, New York, and internationally. Didi Gomez travels the furthest from Buenos Aires, Argentina! Twins, Hailey and Kaitlyn Shafer are the youngest REPRISE performers. REPRISE marks Danielle Pennisi’s ninth M.O.C. Production. Her first was Titanic in 2007. Some of the backstage staff have worked on every show for more than 40 productions. The Rev. Tony MacNaughton, former club president and one of the ushers for REPRISE, has participated in every production since 1959! The Montclair Operetta Club has been producing high-caliber musical theatre since 1925 with its first production of The Pirates of Penzance making it one of the country’s oldest continuously producing theaters. The State Theatre ticket office, located at 15 Livingston Ave, New Brunswick NJ, is open Monday, Tuesday, Thursday, Friday, 10 AM to 6 PM; Wednesday 11 AM to 7 PM; Saturday 1 PM to 5 PM; and at least three hours prior to curtain on performance dates unless otherwise specified. For information on group outings and discounts, call 732-247-7200, ext. 517. Some additional ticket and transaction fees may apply. Considered the crowning jewel of choreographer Marius Petipa’s career, The Sleeping Beauty, performed by a 50-member Moscow Festival Ballet company, is the magical tale of a beautiful princess who waits in slumber to be awakened by the kiss of her prince. Audiences are transported to a world of fairy tale princesses, malevolent witches, storybook kingdoms, and true loves kiss in this most cherished ballet. Opulent costumes and sets, Tchaikovsky’s magnificent score, and the elegant movements of these extraordinary dancers result in an evening of breathtaking artistry. The Moscow Festival Ballet was founded in 1989 when legendary principal dancer of the Bolshoi Ballet, Sergei Radchenko, sought to realize his vision of a company which would bring together the highest classical elements of the great Bolshoi and Kirov Ballet companies in an independent new company within the framework of Russian classic ballet. Since the beginning, the company has completed two tours of Europe. Two tours of the United Kingdom sold out at London's highly recognized Coliseum. This resulted in tours during the 1995-96, 1996-97, 1997-98, 1998-99, and 1999-2000 seasons. The company has also performed in Turkey at the Istanbul Festival, the Athens Festival in Greece, as well as a two-month tour of Japan, Korea, Singapore, and Hong Kong. They also tour continuously throughout the United States, first starting with a national tour in during 1997, and returning in 2001, 2004, 2007, 2010, and this year. Today, the Moscow Festival Ballet continues to expand its repertoire. The company specializes in Twentieth Century full-length ballets such as Cinderella, Romeo and Juliet, Legend of Love, Stone Flower, and The Golden Age. Radchenko studies the original choreography and stage productions of many Marius Petipa's classic ballets including productions of Don Quixote and Paquita, and a recreation of Jules Perrot's and Jean Coralli's Giselle. State Theatre, a premier nonprofit venue for the performing arts and entertainment. The theater exists to enrich people’s lives, contribute to a vital urban environment, and build future audiences by presenting the finest performing artists and entertainers and fostering lifetime appreciation for the performing arts through education. The State Theatre’s programs are made possible, in part, by funding from the New Jersey State Council on the Arts/Department of State, a Partner Agency of the National Endowment for the Arts, and contributions from numerous corporations, foundations, and individuals. The Heldrich is the official hotel of the State Theatre. Magic 98.3 is the official radio station of the State Theatre. The Star-Ledger is the official newspaper of the State Theatre. United is the official airline of the State Theatre. This tribute honors the man who, as poet, playwright, activist, influenced American thought, theater, poetry, politics and social progress from the 1960s until his death on January 9, 2014. As musicologist, Baraka perhaps knew more than anyone else about the history and heart of the American classical music known as Jazz. As a life-long resident of Newark since his birth, excluding his times in the Village and Harlem, Baraka embodied and gave voice to the genuine, concrete roots and deep soul of New Jersey's largest city. This fact gave birth to his son Ras who is now a leading candidate for Mayor of Newark. Amiri Baraka's reputation and presence around the world have long been established, especially in Italy where, he once told me, he loved to read his poetry. In a real sense, Baraka remains part of the continuing renaissance of contemporary poetry and theater in Italy and in Europe. Back home in America, Amiri Baraka not only influenced and encouraged the true expression in poetry and theater of people of all races, he touched people deeply with his fierce courage and refusal to go along with any official or unofficial lie. As he exhorts his beloved African American people in "Wise 1," "If you ever find/yourself, some where/ lost and surrounded/ by enemies/ who won't let you/ speak in your own language/ who destroy your statues/ & instruments, who ban/ your omm bomm ba boom/ then you are in trouble/ deep trouble/ humph!/ probably take you several hundred years/ to get/ out!" With Baraka's help, that time frame not only has been shortened but the individual freedom he helped so many to achieve is the reason for this humble tribute. Every sitcom ever written can trace its lineage to Moliere, the French comic master who lampoons hypocrisy on all sides while letting us in on the joke. First performed in 1673, this fast-moving “comédie-ballet” treats the timely subject of healthcare, skewering gullible patients and the “doctors” who prey on them. Love, mistaken identity, foppery, slapstick and a dash of cross-dressing are the cure for what ails you in The Imaginary Invalid. Passover Palooza will include a FREE Mama Doni concert and tours of the Streit’s Matzo Factory, where families can see Passover matzos being made. For a sneak preview of Mama Doni's inimitable brand of "funky music with a Jewish twist," watch her "Mission Immatzoble" video HERE. Mama Doni will get kids, parents, grandparents, aunts, and uncles up and dancing at Passover Palooza. Rocking out for Pesach, Mama Doni & The Mama Doni Band will play special-for-Passover songs like "Mission Immatzoble," "Rasta in Pasta" (a reggae tune about what can and can't be eaten during Passover), and "Disco Dayeinu," along with such matzolicious songs as "Jewish Cowgirl," "Mazel Tov" and Shabbat Shaboom." Also featured at Passover Palooza will be Passover Prize Breaks, with an array of prizes for those with the correct answers to Passover questions, including boxes of Streit’s matzos, samples of Streit’s macaroons, Mama Doni’s famous “matzola” (Matzo Granola, made according to a recipe in her cookbook, Get Cooking! A Jewish American Family Cookbook), and assorted chocolate treats, along with CDs, posters, t-shirts, and download cards for a free Mama Doni Passover song. Montclair, New Jersey-based Doni Zasloff, a.k.a. Mama Doni, is the lead singer/songwriter of The Mama Doni Band, honored with Parents' Choice Awards for their DVD Mama Doni's Jewish Holiday Party and their CDs Emunah and Shabbat Shaboom, and winner of the Simcha Award for "Inspiring Joy Through Music" in competition with more than 100 bands from 15 different countries at the International Jewish Music Festival in Amsterdam. The band celebrates Jewish culture with irrepressible zest in its interactive family concerts filled with catchy pop songs that break the mold of traditional Jewish music. Quirky, offbeat, and unpredictable, The Mama Doni Band offers up a contagious and unexpected blend of contemporary American bluegrass, reggae, rock, disco, Latin, and klezmer, all woven together with a hip Jewish sensibility. Recent Mama Doni releases include Mama Doni's Jewish Holiday Party (DVD) and Mama Doni: The Acoustic Jewish Holiday Collection (CD), available at Amazon.com, BarnesandNoble.com, itunes, FYE Stores, See of Sound, and at http://www.mamadoni.com. Tickets are available online at www.ucpac.org, by calling (732) 499-8226, or visiting the UCPAC box office, 1601 Irving Street, Rahway. Tickets are available online at www.sulekha.com, by calling (732) 499-8226, or visiting the UCPAC box office, 1601 Irving Street, Rahway. A native of Benin in West Africa, Lionel Loueke picked up the guitar at age 17 and emigrated to Paris to pursue jazz studies at the American School of Modern Music. His early African pop stylings gave way to full-fledged modern jazz after he encountered the music of guitarist George Benson and then Terence Blanchard, Wayne Shorter and Herbie Hancock — jazz giants with whom he later recorded. Loueke combines harmonic complexity, soaring melody and a deep knowledge of African folk forms to create a warm and evocative sound of his own. His initial Blue Note album release, Mwaliko, offered a series of searching, intimate duets with Angelique Kidjo, Richard Bona, Esperanza Spalding and Marcus Gilmore. At his Mar. 29 Hamilton Stage concert, he’ll perform with his trio Gilfema featuring Swedish-Italian bassist Massimo Biolcati and Hungarian-born drummer Ferenc Nemeth. The RSI Bank Masters on Masters Jazz Series is funded in part by a grant from the National Endowment for the Arts and RSI Bank of Rahway and will feature a roundtable interview with Loueke led by WBGO-FM Jazz Radio 88.3 deejay Gary Walker. The roundtable and concert will be recorded for the Jazz Oral History Archives at the Smithsonian in Washington, DC. Hridaynath Mangeshkar has composed music for scores of Indian films, debuting in 1955 with the Marathi film Akash Ganga. The younger brother of Indian singing legends, sisters Lata and Asha, Pandit Mangeshkar has created timeless melodies for the verses of numerous Indian poets such as Mirza Ghalib, Shanta Shelake, Suresh Bhat, Kabir and the 16th-century poetess /mystic Meerabai. This concert presents the esteemed composer in performance along with an original dance-drama based on his songs, Swargangechya Kathavarati, written and directed by Dr. Meena Nerurkar (right), Philadelphia-based playwright, actress and performer/choreographer of Kathak, Bharatnatyam & Manipuri styles of classical Indian dance. It’s also a lively celebration of Gudhi Padwa, the start of the New Year in the lunisolar Hindu calendar. This year Gudhi Padwa falls on Mar. 31 and heralds the advent of Spring with music, dance and festivities. ** For showtimes and ticket prices, call the Union County Performing Arts Center box office at (732) 499-8226 or go online to www.ucpac.org. ** For more information about the 2013-14 performance season at Union County Performing Arts Center and Hamilton Stage, visit www.ucpac.org. Light snacks / coffee & tea will be provided; cash bar; guests are welcome to bring their own snacks. RESERVATIONS contact: Carol Hogrebe (732.636.5718) or email Valerie Slade at valandirv@optonline.net. Pictures from a Hiroshima Schoolyard uncovers the surprisingly joyful drawings of Japanese schoolchildren sent to America in an historic exchange less than 2 years after the atomic bombing of Hiroshima. Shizumi Shigeto Manale, the film producer, has agreed to stay after the showing for a talk-back! TICKETS: special discount ticket offers: 40% off on $55 and $45 tickets available for purchase on February 27, 28, and March 1, 2014 (Code Tr1). A second offer of 30% off (Code Tr2) is available on March 13, 14, and 15, 2014 on tickets priced at $55 and $45. Discount ticket rates for senior citizens, ages 65 and over, and children, ages 12 and under, are available now through April 6, 2014 to see La Traviata. Senior citizens, ages 65 and over, purchasing regular-priced tickets on non-sale dates are entitled to a 10% discount. The company is offering a reduced rate of $10 on all tickets for children, ages 12 and under, when accompanied by a ticket-holding adult to see La Traviata on April 6, 2014. These special ticket offers are not available online and may be purchased only at the bergenPAC’s box office, located at 30 North Van Brunt Street, Englewood, New Jersey, and by calling (201) 227-1030 or toll-free at 1-888-PACSHOW. All special ticket offers must be requested before the purchase. Group discounts are available on $55 and $45 tickets only with a minimum purchase of 50 tickets. For special group rates only, call 201.224.2809. This discount is not available online. As arts programs continue to be eliminated in schools or opera education cut from the curriculum, exposing children and their extended families to the wonders of grand opera is a priority of Verismo Opera’s program. “Our Bring the Family to the Opera program has the goals of introducing people to grand, traditional opera and keeping this art form alive. This program provides our productions locally at the Bergen Performing Arts Center and makes them accessible and affordable for extended families and their children through special discount ticket offers,” said Lucine Amara, Artistic Director. Under Amara, one of the Metropolitan Opera’s luminary performers, Verismo Opera will observe its 25th season, Vive la France, with the beautiful production La Traviata in celebration of the 200th anniversary of Verdi’s birth. Set in the backdrop of Paris, France, this love story, shrouded in sacrifice and misunderstanding, will unfold on the stage under the direction of Stage Director and Canadian soprano Evelyn La Quaif. The fully staged production will be presented with the cast singing in Italian. English supertitles will be provided. A live orchestra will perform under the baton of Principal Conductor/Music Director Anthony Morss. Chorus Director Mara Waldman will direct the Verismo Opera Chorus. The cast will perform in period costumes designed by Catherine Mirabella and Barbara Konig. TICKETS: $25 for adults and $20 for seniors, students and Morris Museum members. Tickets are available at the Bickford Theatre box office, 973.971.3706. For more information, call 973.998.7239 or visit www.morrischoralsociety.org. The 85-voice Morris Choral Society celebrates the start of spring. Under the direction of Wayne Walters, the chorus will perform popular selections from Broadway and Tin Pan Alley, including favorites by George Gershwin, selections from Phantom of the Opera, Shrek and more. Joining the Chorus will be Express Male, a sextet of tenors, baritones and basses. The members of the group are John Collins of Raritan, Bud Leppard of Morristown, Chip Wood of Basking Ridge, Wayne Walters of Parsippany, Rob Walters of Long Valley and Nicholas Schumacher of Randolph. Convent Station’s Ken Rapp will be the piano accompanist. The Morris Choral Society has been a mainstay in North Jersey for more than 40 years and has performed alongside many famous musicians including jazz legend Dave Brubeck and beloved singer Judy Collins. The award-winning chorus has been recognized by Morris Arts as an Outstanding Arts Organization and founder and music director Wayne Walters has received the prestigious Outstanding Professional in the Arts Award. In addition to performing for enthusiastic audiences in New Jersey, the chorus has toured England, Scotland, Wales, Ireland, France, Italy, Germany, Poland and the Czech Republic. These performances have been made possible in part by Morris Arts through the New Jersey State Council on the Arts/Secretary of State, a partner agency of the National Endowment for the Arts. Photo Credit Morris Choral Society. TICKETS: Gold Circle $30, Orchestra $30, Loge $25, Rear Loge $25. Additional discounts may be available by calling the Box Office. There is a $4 per order processing fee for all sales not made in person at the Box Office by cash or personal check. Discounts are limited to a maximum of 2 tickets. All additional tickets will be at the full public price. All programs, artists, dates, policies, prices and times subject to change. ID required for all transactions No refunds or exchanges. All sales are final. Hear some of music's most soulful songs as leading cast members from the Tony award-winning Broadway smash, Jersey Boys, perform a medley of pop hits. The performers share their personal stories and experiences in the music business, which led to the eventual conception of this group. As a way to pay homage to classic Doo Wop and the music that was inspired by that sound, the show features songs like Denise, Little Bitty Pretty One and Since I Don't Have You. Member of the prestigious Steinway Artist Roster, pianist and composer Robin Spielberg is one of America's most popular contemporary female artists. Renowned for her expressive and lyrical performances, Spielberg's concerts always intertwine musical performance with stories that inspire, enlighten, and make us laugh. TICKETS: Adult $12. Child $10 Additional discounts may be available by calling the Box Office. There is a $4 per order processing fee for all sales not made in person at the Box Office by cash or personal check. Discounts are limited to a maximum of 2 tickets. All additional tickets will be at the full public price. All programs, artists, dates, policies, prices and times subject to change. ID required for all transactions No refunds or exchanges. All sales are final. After moving from the big city to the country, Henry has difficulty meeting new friends in his neighborhood. Luckily, he has Mudge, his canine companion. This fun-loving pair navigates through unchartered territory, while learning invaluable lessons on loyalty, responsibility and devotion. Join Calvin Brown, Associate Curator of Prints and Drawings, and Starr Figura, Phyllis Ann and Walter Borten Associate Curator of Prints and Illustrated Books at The Museum of Modern Art, as they discuss Edvard Munch as an innovative and influential printmaker. A reception will follow. Join us for a program of sonatas, songs and dances from late Renaissance and Baroque Italy that will be performed on period instruments by Musica Alta and Friends. Presented by the Art Museum and the Department of Music. Tap into your inner creativity and find inspiration in the Museum's galleries. Bring your laptop, tablet, smartphone, stylus, or "old-school" graphite pencil and create a work of art inspired by the Museum's collections. Refreshments will be served, and art materials will be provided. After a long winter, isn't it time for a little creative escape? Join us on Saturday mornings for family fun in the Art Museum. Drop in anytime between 10:30 a.m. and 1 p.m. and enjoy an engaging gallery activity followed by a related art project. Come for fifteen minutes or two hours--whatever your schedule allows! All ages are welcome; no tickets or reservations are needed. Domenico Capagnola, Legendary or Mythological Scene, ca. 1520. Gift of Frank Jewett Mather Jr.
TICKETS: $37 to $65, with discounts available for groups, seniors, and U.S. military personnel, their families, and veterans. A limited number of $20 tickets are available for every performance; $20 tickets may be partial view. Tickets for patrons under 30 are $24 and include the best available seats at every performance. Tickets are available from 732.345.1400 or www.tworivertheater.org. The lead production sponsor for Trouble in Mind is Wells Fargo. Alice Childress (the first African-American woman to have a play professionally produced in New York) uses a play-within-a-play structure to create a bitingly funny look at the complex, difficult, and often emotional way people talk about race—and a hilarious backstage drama about artists at work. On the stage of a Broadway theater in New York City in the mid-1950s, a modern, recently integrated theater company has gathered for their first day of rehearsal of a new play called Chaos in Belleville, an anti-lynching Southern drama. But as the company rehearses, Wiletta, the African-American actress in the starring role, must find the courage to confront her white director about his interpretation of the play—setting off an explosive conversation about fear, power, race relations, and the struggle for public and private equality. Costume Designer Karen Perry will give audiences a sneak peak at her process for designing the 1950s period costumes for Trouble in Mind, and share an overview of her work on other theatrical masterpieces, including August Wilson’s Jitney and Two Trains Running at Two River. This presentation will be part of a vendor fair featuring jewelry, handbags, beauty products and more from 12-4 PM. To celebrate the “backstage drama” of Trouble in Mind, Two River Theater will offer two special guided tours of its two-stage arts complex in Red Bank on Tuesday, April 8 at 5:30 and 6:30. Tours will be led by Zeke Zaccaro, who joined the company in its fourth season and serves as Director of Operations, and are limited to 25 people; to reserve, please call 732.345.1400. Following the matinee, leading theater artists will discuss modern African-American drama from the 1950s to the present day. This panel will be introduced and moderated by Two River Artistic Director John Dias and include Jade King Carroll, director of Trouble in Mind; actor Brenda Pressley, who plays Wiletta in Trouble in Mind; and Tony Award-winning actor, playwright and director Ruben Santiago-Hudson. This panel is presented as part of An Exploration of Justice, made possible by a grant from the New Jersey Council for the Humanities, a state partner of the national endowment for the Humanities. Any views, findings conclusions, or recommendations in this series do not necessarily represent those of the National Endowment for the Humanities or the New Jersey Council for the Humanities. Two River Theater is hosting Loser Slam open-mic nights throughout the season. In connection with Trouble in Mind, the public is invited to attend to perform their own poems featuring a theatrical or backstage experience, or listen to poems performed by others. Literary Manager Anika Chapin will lead a discussion of The Help, Kathryn Stockett’s novel about the lives of African-American maids working in white households in Mississippi in the 1960s. Historical context for this bestselling novel can be found in Like One of the Family: Conversations from a Domestic’s Life, written by Alice Childress in the 1950s. Audiences will learn about Alice Childress, her literary achievements, and her work as a social activist for the rights of African-Americans, women and the working class in Two River’s Before Play lecture series, which takes place 45 minutes prior to every performance, and Lobby Display. An audio-described performance is scheduled for Wednesday, April 23 at 1 PM; tickets to this performance are offered at the discounted rate of $25 for patrons needing audio description. An open-captioned performance is scheduled for Saturday, April 26 at 3 PM. Tickets to this performance are offered at the discounted rate of $25 for patrons needing open captions. To reserve wheelchair-accessible seating or tickets for a performance listed above, patrons should call 732.345.1400. The lead production sponsor for Trouble in Mind is Wells Fargo. Inside Two River programs are supported by the William T. Morris Foundation. An Exploration of Justice is made possible by a grant from the New Jersey Council for the Humanities, a state partner of the National Endowment for the Humanities. Two River Theater’s 20th Anniversary Season is supported in part by funds from the New Jersey State Council on the Arts, a division within the Department of State and a partner agency of the National Endowment for the Arts, he Columbus Foundation , The Geraldine R. Dodge Foundation, The Shubert Foundation, The Stone Foundation of New Jersey, Monmouth University, The Blanche and Irving Laurie Foundation, Durso Wealth Management Group at Morgan Stanley, Wells Fargo, Investors Bank, Brookdale Community College, The Horizon Foundation for New Jersey, William T. Morris Foundation, Springpoint Senior Living Foundation at the Atrium at Navesink Harbor, the New Jersey Council for the Humanities, and many other generous foundations, corporations and individuals. TICKETS: $25 and can be purchased by calling 908.499.8226 or on-line at www.ticketmaster.com. The Scene is a provocative comedy about the pitfalls and shallowness of the entertainment industry, an industry where who you know and what party you attend is most important. The story focuses on Charlie, an out-of-work actor, his successful TV producer wife, Stella, and his friend, Lewis. When pretty and ambitious Clea enters the scene, she first dates Lewis and then moves on to Charlie. When Clea and Charlie’s heated affair eventually ends, Charlie is left broke and emotionally and spiritually adrift. The production is directed by Dave Duncan of Asbury Park and stars Bram Akcay of Bloomfield, Kristina Hernandez of Westfield, Gus Ibranyi of Bloomfield, and Lynn Langone of Cranford. “Theresa Rebeck’s writing creates a playground of emotions and hilarity that makes it easy to get swept away in a riveting story about life’s struggles to which anyone can relate,” says director Dave Duncan. In the month of April, nine events are scheduled for audiences of all ages at the Zimmerli Art Museum at Rutgers to celebrate spring. From exhibition tours and artists’ presentations, to a K-12 teacher workshop and Rutgers Day: the museum invites all to explore its diverse offerings! WHERE: All events take place at the Zimmerli, 71 Hamilton Street on the Rutgers University-New Brunswick campus. On Wednesday, April 2, Celebrating Chinese Calligraphy and Cultural Arts, an event co-sponsored by the Confucius Institute of Rutgers University (CIRU) and the Zimmerli, includes an artist’s calligraphy demonstration that complements the exhibition Maples in the Mist: Chinese Poems for Children, illustrated by Jean and Mou-sien Tseng. Beginning at 6 PM, curator Marilyn Symmes, Director of the Morse Research Center for Graphic Arts at the museum, leads a tour of the exhibition—a journey inspired by noted poets of the Tang Dynasty (618-907 AD)—selected from the Zimmerli’s extensive collection of original artwork from children’s literature. CIRU faculty member Dietrich Tschanz also reads selected poems from the book in their native language. TICKETS: free to Rutgers students, faculty, and staff, and Zimmerli members. It is free to the general public with $6 museum admission. The Confucius Institute of Rutgers University aims to promote the learning and teaching of Chinese language and culture, spur the development of Chinese Studies, and advance a range of cultural exchanges between the U.S. and China. Writing and the Visual Arts, the Zimmerli’s culminating Teacher Workshop for the 2013-14 academic year, takes place Friday, April 4, from 9:30 AM to 2:30 PM. The museum welcomes Alfredo Franco, Director of Education at the Delaware Art Museum and a Part-Time Lecturer at Rutgers, who examines the interconnection between these two forms of expression. Developed in conjunction with special exhibitions and the permanent collection, workshop content equips educators to integrate art into their curriculum. Each participant receives six professional development credit hours. FEE: $50 per participant, which includes light breakfast, lunch and supplies. To register, contact the Education Department at education@zimmerli.rutgers.edu. This workshop is held in collaboration with the National Writing Project at the Rutgers Graduate School of Education. Teacher Workshops are supported in part by the J. Seward Johnson, Sr. 1963 Charitable Trust. The Zimmerli welcomes artist Nathalie Miebach to present Baskets & Data: Making Weather Tactile in the Digital Age on April 10 at 4 PM. She discusses her translations of scientific data from astronomy, ecology, and meteorology into sculpture, installation, and musical scores. Links to Miebach’s 2011 Ted Talk and the January 2014 issue of “American Craft Magazine,” featuring a cover article about the artist, are available at nathaliemiebach.com. The event is followed by an informal reception. ADMISSION: Free to Rutgers students, faculty, and staff; $6 general admission. The Zimmerli is delighted to participate in the annual Rutgers Day on Saturday, April 26, which offers free activities and entertainment across the New Brunswick and Piscataway campuses. Visit the Zimmerli from 10 AM to 4 PM for Be an Art Detective scavenger hunts (with prizes! ), I Am Art face painting, and Preschool Adventures in Storytelling, as well as gallery discovery tours and children’s art activities. The museum also invites visitors to create their own selfies in the photo booth that is part of the special exhibition “Striking Resemblance: The Changing Art of Portraiture.” Activities take place throughout the museum. For a complete list of Rutgers Day events, visit www.rutgersday.rutgers.edu. Follow updates on Facebook (www.facebook.com/RutgersDay) and Twitter (@Rutgersday #Rutgersday). Rutgers Day offers free parking and admission, as well as shuttles among the College Avenue, Cook/Douglass, and Busch campuses. The event is rain or shine. The Zimmerli’s first exhibition devoted to artists from Ukraine, Odessa's Second Avant-Garde: City and Myth, opens on Wednesday, April 30. It focuses on nonconformist artists who worked in this fabled seaport on the Black Sea from the 1960s through the late 1980s. The public is invited to an opening reception that includes a guided exhibition tour and lecture. The Zimmerli also continues its diverse Sunday programming throughout the month. Free First Sunday on April 6 offers free admission and family activities from noon to 5 PM. Insights: Gallery Talks investigates French art and society following the upheaval of the French Revolution with a docent-guided tour on April 13 at 2 PM. Films about Art and Artists on April 20 features a 3 PM screening of Systems from the PBS series Art 21: Art in the Twenty-First Century. This episode of insightful interviews features artists John Baldessari, Kimsooja, Allan McCollum, and Julie Mehretu. The Kusakabe-Griffis Room is open from noon to 5 PM on April 27 to view the exhibition Meiji Photographs: A Historic Friendship between Japan and Rutgers. These rare albumen prints from the permanent collection were taken by European and Japanese photographers during the Meiji period (1868-1912), which is considered the beginning of the modern era in Japan. (Rutgers also played a significant role in the era: one of the first Japanese citizens to graduate from an American college attended the university.) Programs are free with museum admission. The Jane Voorhees Zimmerli Art Museum houses more than 60,000 works of art, ranging from ancient to contemporary art. The permanent collection features particularly rich holdings in 19th-century French art; Russian art from icons to the avant-garde; Soviet nonconformist art from the Dodge Collection; and American art with notable holdings of prints. In addition, small groups of antiquities, old master paintings, as well as art inspired by Japan and original illustrations for children’s books, provide representative examples of the museum’s research and teaching message at Rutgers. Founded in 1966 to serve the campus and community, the Zimmerli is now one of the nation’s largest and most distinguished university-based art museums, located in a 70,000-square-foot building on the New Brunswick campus of Rutgers, The State University of New Jersey. Established in 1766, Rutgers is America’s eighth oldest institution of higher learning and a premier public research university. The Zimmerli’s operations, exhibitions, and programs are funded in part by Rutgers, The State University of New Jersey, and income from the Avenir Foundation Endowment, the Andrew W. Mellon Foundation Endowment, and the Voorhees Family Endowment, among others. Additional support comes from the New Jersey State Council on the Arts, a partner agency of the National Endowment for the Arts; the Estate of Victoria J. Mastrobuono; and donors, members, and friends of the museum. Reviewing an opera is a challenge. Almost as much of a challenge as producing one. There are so many factors to consider: the music, the play, the singers as singers, the singers as actors, the orchestra, the sets, the costumes, and on and on. In considering the Eastern Opera of New Jersey’s presentation of Carmen, at the Brook Arts Center in Bound Brook the weekends of March 22 and 23 and March 29 and 30, we can start by eliminating the first two. As to the music, I’m not second guessing Georges Bizet. There is a reason his Carmen is one of, if not the, most popular operas the world over. It is a feast of gorgeous, spirited music that is colorful, passionate and even singable. Yes, you may leave the theater humming one of its “hit” tunes. And I’m not going to examine the play. Based on a French novel forgotten except for its incarnation as an opera, it has a convoluted plot and is, like many opera plots, melodramatic and silly. But it doesn’t have to be great theater because it’s a vehicle for the music, and from that perspective, it works very well. The Eastern Opera deserves plaudits for undertaking a production of a full-length, fully-staged opera, and it can be said without reservation that the audience at last Sunday’s matinee was overwhelmingly enthusiastic. As slick and perfect as the Metropolitan Opera’s Met Live in HD events are (on movie screens everywhere), there is nothing as exciting as live music by live performers. That’s what the Eastern Opera offers, as well as the opportunity to rub elbows with performers in person. The 14-piece orchestra, under the direction of Dr. Robert W. Butts, did justice to the energetic music from the first notes of the overture. Butts, whose enthusiasm always comes through in his interpretations, is an ideal conductor for Carmen. He also serves as a guide to the happenings on stage, which, though the piece is performed in English, would probably be opaque to at least some of the audience. The singers in featured roles were for the most part wonderful. In the title role, soprano Karole Lewis was superb. Her fiery performance of the famous Habaῆera in the first act was thrilling. A convincing actress, Lewis has an expert stage presence and moves well in a role that demands a dancer’s grace. It should be mentioned that Lewis is the production’s director and serves in numerous other positions with the company. As well as being President of the Board of Directors, she was, we were told, responsible for the surprisingly handsome sets and costumes that made this production look so good. Lewis is indeed a woman of many gifts. Vocally, there were some other outstanding performances. As the tortured Don José, Peter S. Lewis has a fine tenor voice. Baritone Ted Dougherty made a dashing bullfighter, Escamillo, bringing cheers with his rendition of what is arguably opera’s most famous aria, The Toreador Song. Other notable vocal performances were by Jacqueline Levia as Micaela, Don Kalbach as Zuniga and Kevin Peters as Remendado. There are two performances remaining of the Eastern Opera’s Carmen this coming weekend, at 8 PM on Saturday, March 29, and 3 pm on Sunday, March 30. The Brook Arts Center is at 10 Hamilton St. in downtown Bound Brook. Please email him at papermoon4@aol.com or visit his website www.michaeltmooney.com for interesting information about theater by this knowledgeable critic! “Glory days” have returned to the Jersey Shore! Not Springsteen, but Crampton. Nationally known stage and recording star Glory Crampton (photo below) is currently lighting up Manasquan's Algonquin Arts Theatre as Eliza Doolittle in MY FAIR LADY. New Jerseyans can be forgiven for having a moment of deja vu. Crampton starred in the classic Lerner and Loewe musical for the venerable Paper Mill Playhouse in 2002. A dozen years later, her “squashed cabbage leaf” of a Cockney flower girl seems even more “delightfully downtrodden,” more “deliciously dirty” (as her tutor Henry Higgins calls her). In the musical's memorable opening scene, she whines noisily as a passerby jostles her flowers to the pavement. “Two bunches o' violets trod in the mud!” Crampton's Eliza is a lot like those violets: sooty and bedraggled from her encounter with the streets, but a delicate beauty nonetheless. Singing the wistful “Wouldn't It Be Loverly?” it becomes apparent that Eliza has had to toughen up in order to fit in with the rough and tumble costermongers and chimney sweeps that dominate her world. Her remarkable transformation to a cultured, well-spoken lady of society never lets us forget the “downtrodden violet” within—subtly reminding us of her humble roots while simultaneously looking downright smashing in her tiara and glittering ball gown. Crampton cleverly avoids the trap of playing Eliza as two separate characters, concentrating instead on her conflicted transition. To bring Crampton's creation to the edge of glory [okay, I'll stop], the Manasquan theatre has wisely re-united her with director Robert Johanson. Johanson staged the 2002 Paper Mill production as the finale to his remarkable 20-year run as the Playhouse's artistic director. During his tenure, Johanson created opulent re-stagings of musicals that are still fondly recalled by New Jersey theater-goers. Ten of those starred the talented Crampton. His staging skills work amazing magic in Manasquan, inspiring his community-based cast to heights of glory [last one, I promise]. He has also attracted top-notch production designers, including the sumptuous costumes of Greg Poplyk and Jacquie Revier. It would seem impossible to improve upon the original iconic designs of Cecil Beaton for the lavish “Ascot Gavotte” but Poplyk's subtle infusion of a touch of fuchsia does just that. While inspiring cast and crew to professional caliber artistry, Johanson also tackles the leading role of Eliza's muse, Henry Higgins. His intimate knowledge of the show extends to his portrayal of the smug yet oddly endearing Professor. Overall, this production incorporates many of the clever visual images and wise edits used in previous stagings, several successfully borrowed from the 1964 film version. Without giving it away, the musical's final fade-out strikes a clever compromise between the embattled Eliza and Higgins that will satisfy modern audiences without betraying the original. Perhaps most refreshing are the brisk scenic transitions, something that can easily weigh down a less-inspired FAIR LADY. MY FAIR LADY plays through March 30th at Algonquin Arts Theatre, 173 Main Street, Manasquan, NJ. Thank you to Rick Busciglio and Michael Mooney. This week is SOLD OUT, however, seats are still available for the final two weeks - March 27 thru April 6 - but they are filling up fast. Thursdays and Fridays at 8 PM; Saturdays at 3 PM & 8 PM; Sundays at 2 PM & 7 PM. World Premiere written by Pulitzer Prize and Tony nominated playwright Lee Blessing, directed by Evan Bergman. Starring Katrina Ferguson, Eva Kaminsky, John Little, Michael Zlabinger, Jared Rush, and Jon Erik Nielson. A former Cold War super-power arms negotiator, now retired, remarried and living an idyllic life, is anxiously awaiting the arrival of his estranged son. However, this meeting is not expected to be a joyful reunion, but rather one filled with animosity, threats, ultimatums, and long-buried family secrets. A World Premiere by Richard Strand, directed by Joseph Discher. Recipient of an Edgerton Foundation New American Plays Award. Starring Ames Adamson, David Sitler, Benjamin D. Sterling, John G. Williams. It's the start of the Civil War and lawyer Benjamin Butler has just been promoted to the rank of Major General at Fort Monroe, a Union hold-out in the state of Virginia. Three runaway slaves seek sanctuary at the fort, however, the law of the land still considers slaves property. Must they be turned over to their "rightful owners"? June 12 - July 13, 2014. LUCKY ME A National New Play Network World Premiere Comedy by Robert Caisley, directed by SuzAnne Barabas. From the playwright who brought you "Happy" comes a whimsical romantic comedy about love, aging, airport security, and twenty-two years of bad luck. July 31 - August 31, 2014.
a killer comedy written by and starring Dan Lauria. Dinner With The Boys is a farce that deals with all the violence we consume each day by watching TV and movies, especially those movies that glorify gangsters. Most gangsters talk nonsense, kill their friends, and eat very good Italian food. September 11 - October 5, 2014 (Limited Engagement). A World Premiere by Elaine Smith, directed by Marc Geller. How does one wrestle with the present when one cannot let go of the past? With a sister who can't stop making craft angels, a brother who can't seem to make good, and an ex-husband who can't give up on her, it is way past time for Miriam to unravel her eccentric family's tangled problems once and for all. October 23 - November 23, 2014. Call for tickets 732.229.3166. Note - there is no reading on March 24. Mon, March 31 - The Bunner Sisters by Richard Alleman. Inspired by Edith Wharton’s 1913 novella about two spinster sisters living together in a tenement basement in Manhattan in the late 1880s. Doors open at 6:30 PM. First come first served. Readings begin promptly at 7 PM followed by a discussion with playwright, director and cast. FREE FAMILY ARTS FESTIVAL IN NEW BRUNSWICK!